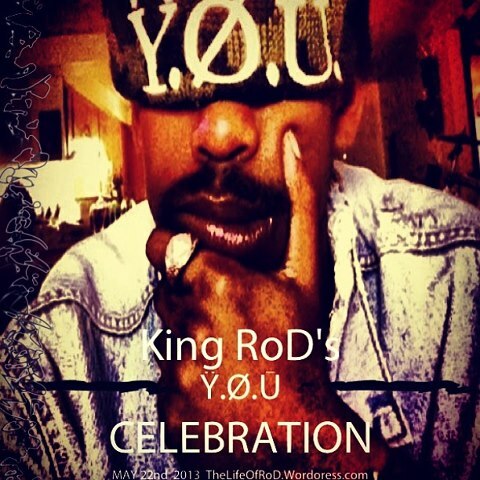 Wednesday, May 22, 2013 King RoD hits the stage 2 times in one night! First in Everett at Tony V’s Garage @ 9:30 Pm then to Studio 7 in seattle for a 10:45 set! There will be 4 28 passenger party busses that will take me and my supporters from Tony V’s to Studio 7 and then back to a designated area. The trip will be catered and there is a Y.O.U. Gift BaG. Ticket packages will be available tomorrow Thursday, May 9th @9:00 AM, The Most Love and Greatest Vibes to all. Peace Unconditional!